I've been busy with Gimphoto 1.4.3, next version Gimphoto based on GIMP 2.4.3. I try to explained it, next version of Gimphoto is based on modified and recompile the Gimp 2.4.3 source code, so for now Gimphoto can be called as GIMP "fork". This method is different from old method that done with modifying binary files using HEX Editor, the new method is longer but Gimphoto will benefit from modified source code, because for next version Gimphoto can also be compiled for Linux and MacOSX. The next version of Gimphoto will also bring new better menu layout, new great themes, big icon toolbox, new menu for Photography tool and filters, and also packed with many great filters. And the last great addition to Gimphoto is GIMPHOTO DESKTOP. This is a program that i specially develop to bring Gimphoto to the next level, may be you curious about what is Gimphoto Desktop. Gimphoto Desktop is external application that can modify Gimphoto interface become single integrated user interface so Gimphoto will appear as MDI (Multiple Document Interface) ala Photoshop. This is the most complaint about Gimphoto user interface from regular Windows users. Using Gimphoto Desktop will improve so much about Gimphoto user interface experience, but Gimphoto Desktop is totally separated from Gimphoto program so if you already like Gimphoto scattered interface then okay, you can just ignore Gimphoto Desktop and only install Gimphoto as usual. beside that Gimphoto Desktop is external program that try to intercept each Gimphoto action so this make things more complicated, i must check everything is safe and running well with Gimphoto and Windows, if not then Gimphoto Desktop will screwed Gimphoto or Windows. 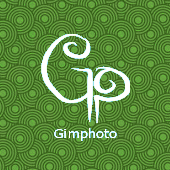 Gimphoto Desktop will using separate installer, different installer from Gimphoto. Gimphoto Desktop Installer will also include with PSPI (Photoshop Filter Interface for Gimp) and a couple free Photoshop Filter. Awesome news. Btw, GIMP 2.4.4 already came out ;) Maybe it make sense to release Gimphoto 1.4.4 (in the manner GIMP team marks their builds) based on old method so we can enjoy bug fixes and new features, while you working on Gimphoto Desktop and such? Hey, happy new year! Great news! We, here in Hungary, are using your great app on a daily basis... and the mentioned coming features sound very promising-so we just can't wait till release time. Thanks a lot for GimPhoto! Some great news here. Good luck with coding. Looking for new version very much. Thank you for all your work and effort. i already had gimp 2.4 installed i didn't unistall it. I guess is that share the same user folder and so may be conflict for duplicate plugin script or files stored there,..anyway is a blind guess only think i know for sure is that abortloading script. A similar possibility may be the python plugins i have in my user plugin folder, gimphoto can't use python maybe is there the issue? I try to remove all scm files but that didn't change. That should solve any possibile problem, Gimphoto will be available for all users , no need to login with another account, but will get his own folders. Have you considered working with gimpshop team? I hope the OSX version doesn't have to use X11, that never works for me. sorry but i don't have MacOS X and never develop using it. GimPhoto already release its source then maybe somebody with ability to compile GIMP under Mac and also create installer for Mac will be able to create GimPhoto for MacOS X. Just tried to install it. Got: 'gimphoto can't start because libgimpui-2.0.dll is missing.' This is certainly something I don't need.